You are currently browsing the tag archive for the ‘public domain’ tag. Public Domain on Trial: Reiss-Engelhorn Museum vs. Wikimedia et al. Is it dangerous to take a public domain picture from Wikipedia and use it on your blog or print it on a T-shirt? Last week the COMMUNIA blog wrote about a copyright case in Germany where several users of public domain pictures received letters from the lawyers of Mannheim’s Reiss-Engelhorn museum. The letters demanded payment for the use of photos of public domain art works that had been uploaded to Wikipedia. The museum justifies this legal action by pointing to the costs of digitizing their artworks and the respective acquisition of some form of ancillary copyright protection for simple photographs (“Lichtbildschutz”, § 72 in the German copyright law). 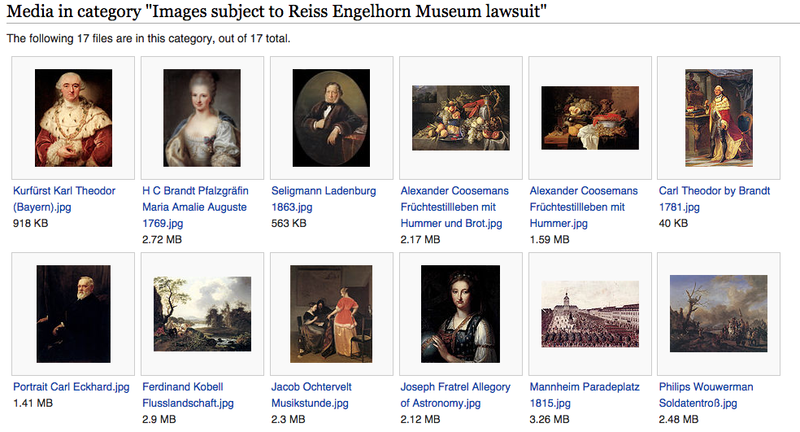 On Wikimedia Commons, the repository that hosts media for Wikipedia, there is already a separate category for “Images subject to Reiss Engelhorn lawsuit”. One of the things that make blogs particularly interesting are series. The “series” series recommends series at related blogs. This time I am recommending the series “12 for 2012” over at the 1709 blog, whose name refers to the first purpose-built copyright law, i.e. the Statute of Anne of 1709. In spite of several term extensions over the last century, copyright law is still temporally limited. After the copyright protection term expires, works enter into the public domain (see “The Digital Public Domain: Relevance and Regulation“). In Europe, copyright protections terms are very long, lasting 70 years after the death of the creator. When a work finally enters the public domain, anyone is free to reproduce, distribute and remix it without asking for permission. During each of the twelve days of Christmas, the 1709 Blog is bringing readers some information concerning an author, composer, artist or creator who died in 1941 and whose works fall into the public domain in 2012 in countries which operate a “life plus seventy years” term for copyright in authors’ works. Two weeks ago the First Berlin Symposium on Internet and Society took place in Berlin, celebrating the opening of the Alexander von Humboldt Institute for Internet and Society. 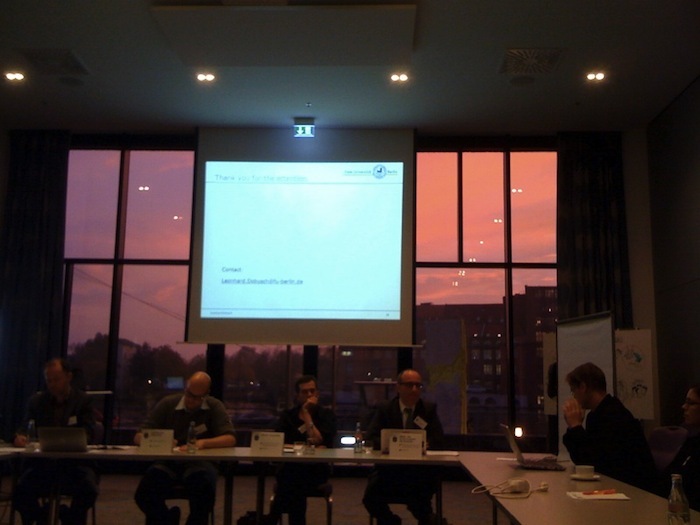 Specifically for this event I had prepared a paper on “The Digital Public Domain: Relevance and Regulation” (SSRN), which was presented and then commented upon by Juan Carlos de Martin and Felix Stalder. Both provided very thoughtful criticsm and extensions to the paper, introducing an overall discussion that was very constructive and focused on the issues tackled in the paper. I can only thank Anne-Catherine very much for providing this great summary and endorse reading the whole transcript. After clarifying the notion and different areas of the (digital) „public domain“ – specifically with reference to related terms such as public goods and (anti-)commons –, the paper engages in discussing literature on its relevance for society in general and economic innovation in particular. […] How effective these abstract potentials of the public domain are utilized depends on the respective public domain regulation. […] In the last section, the paper presents open research questions and makes some preliminary suggestions for potential research strategies. At the symposium, the paper will be discussed in workshop on October 26, chaired by Martin Kretschmer and with comments provided by Felix Stalder and Juan Carlos de Martin. Of course, comments prior to this workshop are most welcome! Shifting Baseline in Assessing Copyright Regulation? IP as Conceptual Pac Man! Starting this week and ending in October, I am visiting researcher at the Social Science Research Center Berlin (WZB). The reason for my stay is a research project on the societal and economic role of the digital public domain, which I am working on together with Jeanette Hofmann. In this context, I started re-reading some of the classic works on the issue, such as David Lange’s “Recognizing the Public Domain” (PDF) from the year 1981. 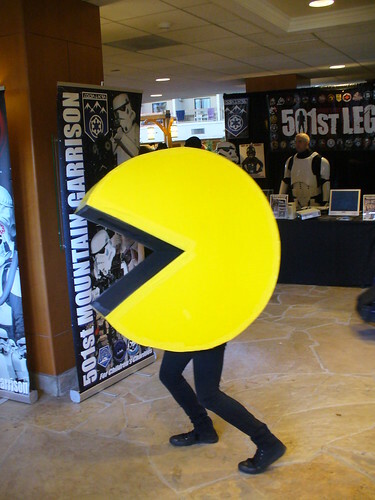 Intellectual Property as “a game of conceptual Pac Man”?